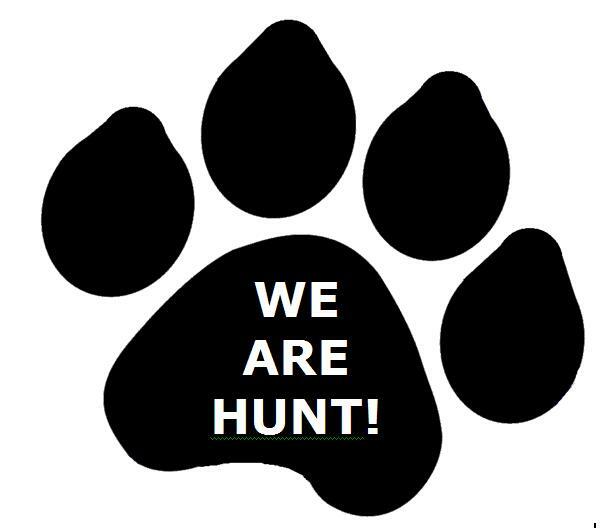 Hey There Hunt Families - Lots of news district wide this past week - unfortunately, none of it reflects well upon us as a District. I hope you will keep yourself informed and provide as much input as you can concerning your vision for our District. Here are a few things that I am thinking about this week in light of the news and announcements. What rules of engagement do I support for School Board Members and District administration? In light of today's administrative staff resignations, I would just like to say, that I have total confidence in the full Board of School Commissioners as a whole. We have a group of highly skilled Commissioners who are determined to continue to educate Burlington's children in a school district that remains the envy of other school district's. As of this moment, it would be inappropriate for me to say more. I ask every resident of the City of Burlington to please do what you can to support the education of our children. It takes an entire village. Thanks, Commissioner Charlie Giannoni- Ward 3. Burlington, Vermont - The Burlington School District and the Superintendent Search Advisory Committee (SSAC) of the Burlington School Board are convening three public forums as part of a collaborative effort to recruit and hire a new Superintendent by the end of the current school year. To facilitate the forums, the Burlington-based Partnership for Change, a grant-funded effort that supports innovation in the Burlington and Winooski Schools, has retained the Center for Secondary School Redesign (CSSR), a nationally known educational consulting firm. CSSR is currently providing the District, the Board and SSAC with guidance in identifying the job requirements and qualifications for a superintendent in a system that is moving toward student-centered and proficiency-based practices. CSSR has found that most school systems in the country approach the hiring of a leader with only vague expectations in mind. The result is that schools often hire people who are good at getting a job, but not good at doing or keeping it. The extremely high rate of turnover in principals and superintendents across the country are evidence of this. The public forums will engage school faculty and citizens in a process known as “position analysis,” whereby community stakeholders come together to look at a set of documents that describe the array of skills needed in a 21st Century school leader, and prioritize what they think are the most important for Burlington’s success. The first forum was held on Saturday morning, September 27th, at the Sustainability Academy. Approximately 45 people attended the forum on a glorious fall morning. Feedback from all of the forums will be incorporated into the final job description that will be given to the School Board. “Especially as Burlington ‘remodels’ its education system to align with the needs of a rapidly changing society, we must find a leader who will fully embrace our vision of a student-centered system that benefits all kinds of learners,” said Hal Colston, Director of the Partnership for Change. The Board has also retained Ray and Associates, an outside search firm, to identify specific superintendent candidates who will be interviewed, once the job description is finalized. Ray and Associates has prepared a survey to gather community input about the qualities desired in the new Superintendent. Please share your input by taking the online survey: https://www.surveymonkey.com/s/8NMRW9Z.